This bracelet is available for both men and women. 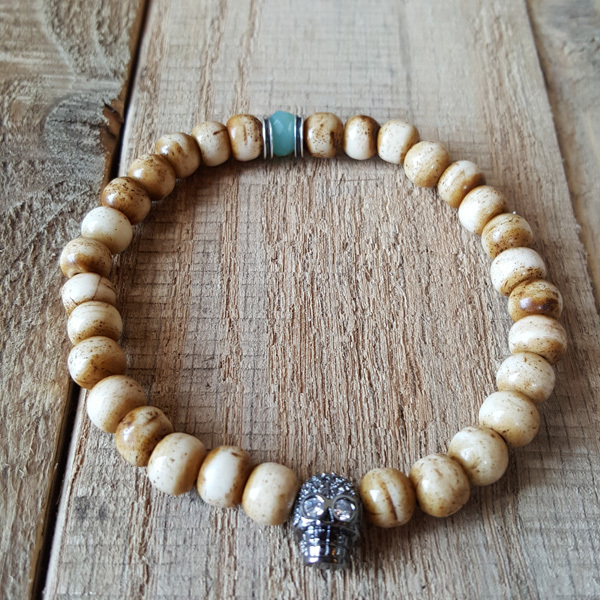 Our light oxbone beads are accented with rough Sterling Silver spacers, African Opal, and a CZ encrusted skull. Stretch to put on or take off, it’s easy to wear and love. The large is about 8 inches in diameter and the small is about 7 1/4 inches in diameter. Disclaimer: Stretch bracelets will break if overstretched!